Maria’s parents owned a restaurant in Vancouver, Canada and they brought her up as an equally keen cook. To help fund her university and college nutrition studies, she engaged in the unusual combination of working as a pastry chef. Unifying the immediate sensual pleasures of food, along with the far casting benefits of nutrition science, continues to typify her work. After traveling – and instructively eating – her way around the world, Maria moved to New Zealand in 1973. She has hosted four television series on food and health in New Zealand, Australia and Canada, including live presentations each week for two years on TV One’s Good Morning show. 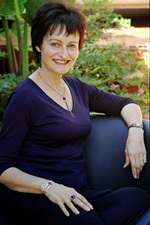 Maria is the best-selling author of seven books, five tertiary textbooks, and a contributor to six others. She has written regular columns for numerous periodicals including seven years with The Christchurch Press. She has co-owned The Whole Health Centre, a health food store complex; owned and operated Food With Flair – a catering business and cooking school; and made numerous international tours with teams of doctors, psychologists and chiropractors to lecture on wellness themes. For decades Maria has taught at universities, secondary and tertiary institutes such as Unitec, Northcote College, Performing Arts School, and South Pacific College. She was the senior nutrition lecturer at Wellpark College for fourteen years. 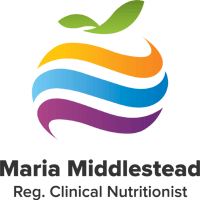 Maria sees patients for individually tailored health and weight consultations; writes for various international periodicals; does research, presentation and consultancy projects for the food industry; and is a popular public speaker and media presenter. One of her latest books – The Shape Diet – looks at body-shapes and their correlation with personality types, health problems, cravings and specific foods that work for and against each type. When people discover their individual metabolic type and its customised plan, this provides the easiest, frustration-free path to maximum health and pleasure. Utilising this approach, Maria has helped and inspired many thousands of patients and students. Maria has won awards as a food writer, educator, public speaker, practitioner, and nutrition writer (most recently as judged by a panel headed by Sir John Scott, Professor Emeritus of Medicine, University of Auckland). Keen to serve the community, Maria has been the New Zealand Director of the international Whole Health Institute (1980-1988), Vice President of the Emissary Charitable Trust (1982-2006), Secretary of the South Pacific Association of Natural Therapists (1992 -2005) and a founding committee member of the Clinical Nutrition Association (since 2009). She is the proud mother of an adult daughter who too loves to cook and share the pleasures of wholesome dining with her own family. Maria won her first award as an orator in 1967, by becoming the nationwide Canadian public speaking champion and then going on to defeat the trans-United States’ champion. This skill has served her well through many years of regular radio shows on food and nutrition, hosting local and international television series, handling the challenge of tertiary teaching, and the exacting presentation demands of a weekly cooking and health segment on live T.V. Maria is passionate about the art and science of nutrition and loves to inspire others to the subject. Her public talks are notable for conveying practical and profound messages with dynamism and wit. Food: A Tasty Tale of Passion and Politics, Science and Sabotage. Your 7 Key Principles For Health and Well-Being. Visit the Food Pyramids But Don’t Try To Live There. From Cuisine To Cosmology and Back Again. 5 Ways To Prevent the Flab 5. Food Promptings: Self-Sabotage or Inner Guidance? Mix & Match Cooking: How To Effectively Play With Your Food. For more information, or a lecture package specifically tailored to your group’s needs, please utilise the Contact page.